MAD Blog Awards – Best Home Blogs and Outfits! The MAD Blog Awards Ceremony is being held this Friday (have I mentioned that already this week?!) and my blog is a Finalist in the Best Home Blog category. Now I know that many of you who follow my blog may not be too familiar with the Parent Blogging Community so I thought I’d share a little more info about the other Finalists in my category. You will find some lovely new blogs to follow and may even discover a few more along the way. Frugal Queen writes Frugal in Cornwall, one woman’s journey to pay off her mortgage, drastically reduce consumption and live a simpler life. It’s jam packed full of tips and advice on how to live frugally and save the pennies. Great for lots of frugal recipes and top tips on using up your leftovers. Growing Spaces is written by Heather, a mum to twin toddlers doing up her new home and trying to keep it stylish but practical. Follow her posts and great videos as she takes you on her journey. Check out her great cushion finds too! Violet Posy is a very well established blog written by Liz, a tatented home blogger as well as somewhat of a techie whizz on the blogging front. Violet Posy has a shabby chic/vintage style and Liz has created some lovely blogs for others along the way. The White Approach, written by Karen is a beautiful, stylish mix of vintage, car boot finds and renovated furniture and decor. All done with a huge love for the colour white! It’s all about doing up your home on a budget, without compromising on style and it has a really elegant, timeless feel, do take a look. I’m not quite sure what I was thinking at the time of ordering to be honest. 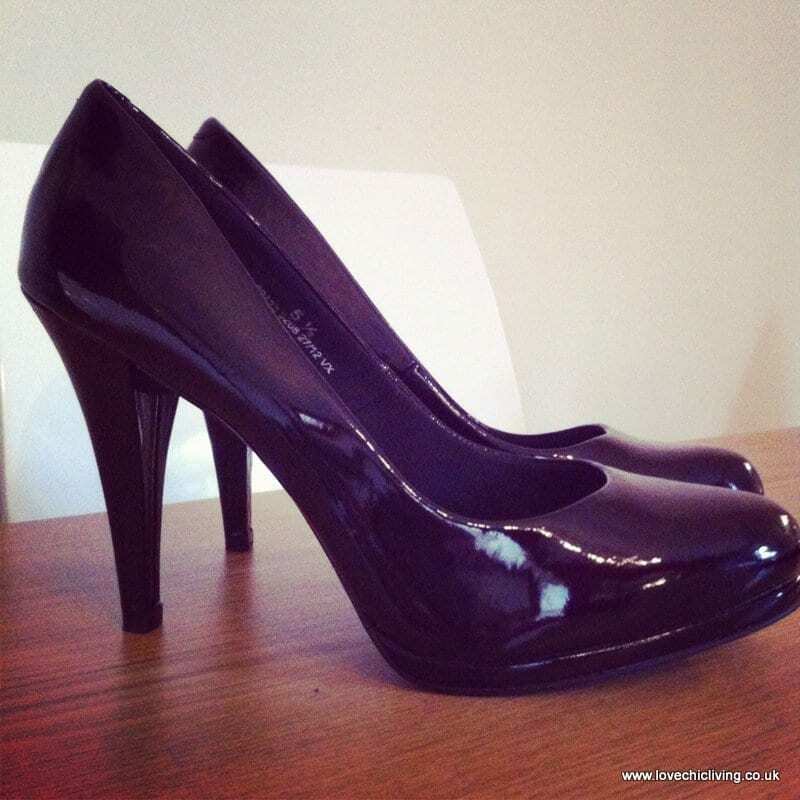 I do love them, and they are very flattering and really go well with the dress, but, oh my goodness, they are so high. Well for me anyway. I’m sure they’ll be stashed under a table somewhere later in the evening, and I’ll dashing up to my room to fetch the flipflops! But, as my Mum has always said, “Pride feels no pain” and I think this might be one of those occasions when I need to keep that saying in mind. 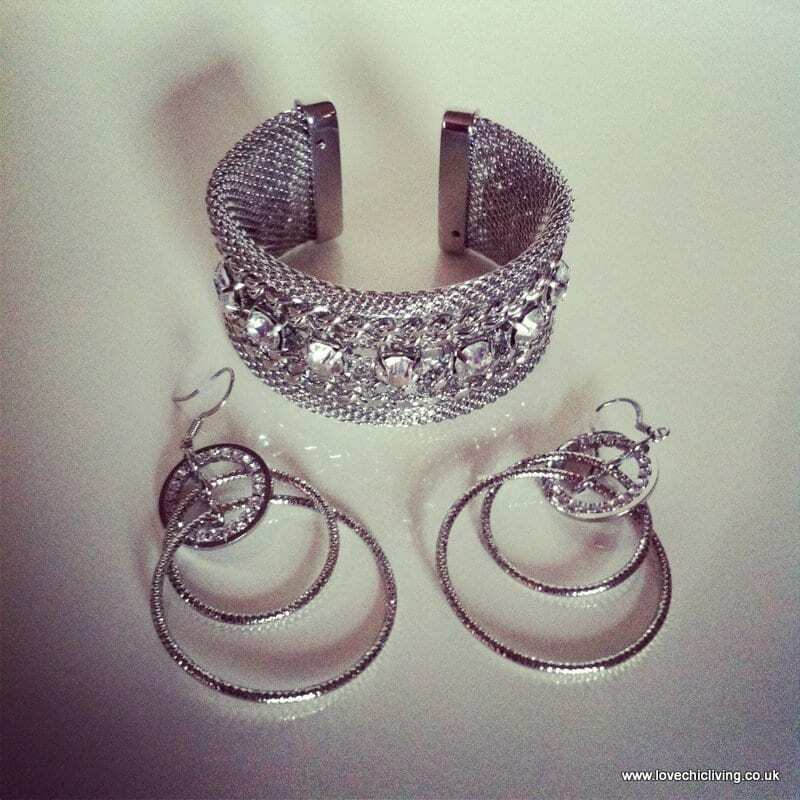 And here’s a little sneak peak of my jewellery; a lovely bit of sparkle and bling which always goes down well for me. The neckline on the dress is quite high so I’m not going for a necklace this time, hence the larger than I’d normally wear earrings and very chunky bangle. I love the chance to dress up, get out of the Converse and glam it up for a change. Thank you to Sally Whittle and all those involved in the MADs organisation; I can’t wait! Good luck Jen – your blog goes from strength to strength!